Slaughter and May, Freshfields Bruckhaus Deringer, Paul, Weiss, Rifkind, Wharton & Garrison and Skadden, Arps, Slate, Meagher & Flom are all advising on Michael Kors’ £900m offer for luxury British fashion company Jimmy Choo. Under the agreement, the shoemaker would become a wholly-owned subsidiary of Michael Kors. Its shareholders will receive £2.3 in cash for each of their Jimmy Choo shares, 36p above the £1.68 share price the day before Jimmy Choo’s parent JAB Luxury announced it would launch a formal sale process in April. Slaughter and May acted for Michael Kors in the UK, while Paul Weiss advised the company on US corporate and financing aspects. The Slaughters team is comprised of London-based corporate and commercial partner Jeffrey Twentyman, competition partner Lisa Wright and tax partner Sara Luder. Paul Weiss team’s team was led by New York-based corporate partners Justin Hamill and Tom de la Bastide, alongside co-head of North America capital markets and securities John Kennedy. Freshfields acted for Jimmy Choo via corporate partner Christopher Mort, with support from corporate partner Alison Smith, employment partner Nick Squire and antitrust partner Alex Potter. Skadden represented Goldman Sachs and JP Morgan as financial advisers. The Skadden team included M&A New York-based partner Paul Schnell and Washington-based partner Jeremy London, as well as London-based corporate partner Scott Hopkins and banking partner Clive Wells. The boards of directors of both companies have approved the transaction but has yet to be voted in by Jimmy Choo’s shareholders. The deal will be subject to regulatory approvals in the EU, US and Russia and is expected to complete in the fourth quarter of 2017. 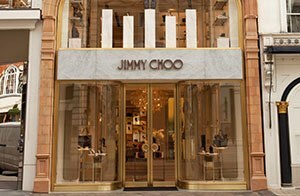 When Jimmy Choo floated on the London Stock Exchange in 2014, the issuer, private investment firm JAB Holdings owned by the German billionaire Reimann family, instructed Freshfields with Mort as leading partner. Hogan Lovells acted for Jimmy Choo at the time on its long-term incentive plans, while Linklaters advised on refinancing matters. The Michael Kors offer is part of a string of foreign takeovers generating work in the city this year as foreign buyers take advantage of the drop in the value of the pound since Britain voted to leave the EU. Freshfields Bruckhaus Deringerhas appointed Paul, Weiss, Rifkind, Wharton & Garrisonlawyer Menachem Kaplan (pictured) as its first partner to head up the firm’s intellectual property (IP) capabilities in the US. Kaplan joins Freshfields today (24 July) as the firm’s first IP partner to be based in New York. He joins Freshfield’s international IP offering led by three existing IP partners elsewhere – Avril Martindale and Giles Pratt in London and Frank-Erich Hufnagel in Dusseldorf. His practice focuses on IP, with an emphasis on licensing, joint ventures, emerging technologies and settlements. An experienced patent lawyer, Kaplan has worked for the last 11 years at Paul Weiss, his latest role as a counsel in the firm’s corporate department. Previously he was a foreign associate in Argentinian firm Marval, O’Farrell & Mairal in Buenos Aires for a year. Kaplan’s key mandates include the Nortel bankruptcy and the sale of the Nortel patent to Rockstar Consortium in 2011, where he represented the buyers, including Ericsson and Microsoft. He also represented General Atlantic in March this year on in their strategic investment in General Information Services. Peter Lyons, Freshfields’ US managing partner said that the ability to navigate the tech space ‘with sophistication’ is critical to the firm’s clients. Co-head of the firm’s global M&A practice Matthew Herman also said that Kaplan’s ability to ‘handle the most complex of IP-driven transactions for clients will be immediately accretive to our strong team of NY-based transactional lawyers’. He said he will continue to execute the firm’s existing corporate strategy. ‘Getting additional corporate mandates, with IP as key, will help support the growth of the corporate department and the global platform,’ he added. In the last two years, Freshfields boosted its US platform with a string of star hires including Fried, Frank, Harris, Shriver & Jacobson corporate trio Valerie Ford Jacob, Michael Lewitt and Paul Tropp, Shearman & Sterling’s M&A veteran Peter Lyons, Simpson Thacher & Bartlett’s experienced corporate disputes specialist Linda Martin and, most recently late last year, corporate partner Aly El Hamamsy from Cadwalader, Wickersham & Taft. In what would have been the second largest M&A deal in history, Unilever has rejected a $143bn takeover approach from Kraft Heinz as Paul, Weiss, Rifkind, Wharton & Garrison and Linklaters take opposite sides. Unilever, the company behind brands such as Dove and Ben & Jerry’s, said it had rejected the deal last Friday (17 February) and over the weekend Kraft said it would drop its pursuit for the consumer goods company. Linklaters won a key mandate on the rejected bid for Anglo-Dutch Unilever. Key advisers for the firm include global consumer goods co-head Paul McNicholl and corporate partner Nick Rumsby. Paul Weiss is acting for Warren Buffet’s food company. US corporate veteran Scott Barshay is a longtime adviser to Kraft Heinz. He recently arrived from rival Cravath, Swaine & Moore after 25 years, in one of the landmark lateral hires in the New York market. 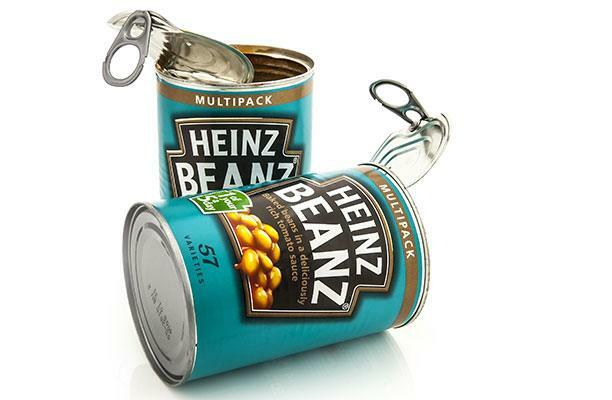 The bid comes two years after Kraft merged with Heinz in a deal worth $46bn. Barshay had acted for 3G Capital and HJ Heinz on the deal. Meanwhile, top Magic Circle alumni are acting for the main financial advisers on the deal. Freshfields Bruckhaus Deringer’s former rainmaker Mark Rawlinson is acting for Morgan Stanley, the financial adviser to Unilever, opposite former Freshfields colleague Will Lawes, who is acting for Lazard on the Kraft side. Lawes, who was senior parner at the Magic Circle firm moved to the bank in January this year. Last week saw a trio of firms bolster their international offerings through lateral hires, including Clyde & Co, US firm Paul, Weiss, Rifkind, Wharton & Garrison, and New Law provider Halebury. Clyde & Co made a re-hire with commodity and trade finance specialist Robert Parson who returns to the firm from Reed Smith, where he served as a partner in the energy and natural resources group. Prior to joining Reed Smith, Parson spent six years at Clydes. Meanwhile, as regulators continue to tighten the rules on deals that pose a threat to competition, US firm Paul Weiss added a quartet of antitrust lawyers to its roster in Washington DC from rival Cadwalader, Wickersham, & Taft to meet client demand. The four-strong team includes partner Rick Rule who once led the antitrust division of the US Justice Department. Rule will serve as co-chairman of the firm’s antirust practice and will be joined by Jonathan Kanter, Joseph Bial and Andrew Forman. Lastly, in the UK, alternative legal services provider Halebury announced it has hired three in-house lawyers including Jan Hawgood from Chevron, Katherine Kennedy from payment systems company VocaLink and Neeta Mashru from the BBC. The firm, which provides specialises in providing senior legal resourcing solutions for listed corporations and fast-growing SMEs, now houses 31 lawyers. Transactions lawyer Hawgood spent eight years in-house at Chevron, where she was based in the UK and Asia Pacific. Commercial lawyer Kennedy spent eight years at VocaLink which operates the UK infrastructure for payment systems including Bacs and LINK. She negotiated the execution or renewal of most major contracts. Mashru, having joined in May, spent 17 years at the broadcaster as a commercial lawyer and acted as lead lawyer on multimillion pound outsourcing procurements including television playout services. She was also responsible for drafting and negotiating a number of commercial agreements and worked on the structured financing of BBC Broadcasting House. Travers Smith, Herbert Smith Freehills and Paul, Weiss, Rifkind, Wharton & Garrison have all landed roles on the $2.1bn sale of Pace to Arris as another UK company gets acquired by the US. UK provider of broadband and pay TV technology Pace has been brought by US-based broadband media technology company Arris Group for $2.1bn. Travers’ team is advising longstanding client Pace on the transaction having previously acted for Pace on the purchase of broadband developer Aurora in 2013 and on its 2010 acquisition of broadband company 2Wire. This time around the firm’s team was led by head of corporate Spencer Summerfield, with additional specialist advice provided by competition partner Nigel Seay and employee incentives partner Mahesh Varia. Paul Weiss advised Pace on US matters. 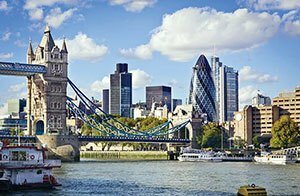 Arris turned to a Herbert Smith Freehills team in the UK led by corporate partners Gavin Davies and Alex Kay, while in the US it used Troutman Sanders. Under the terms, Pace shareholders will receive cash and stock in the new holding company at 132.5 pence in cash for each Pace share and 0.1455 of new Arris shares. The deal is being done through a scheme of arrangement with the new holding company listed on the NASDAQ stock exchange. The transaction is subject to a number of conditions and is expected to close in late 2015. The sale came in a bid to expand Pace’s international presence and expand its product portfolio across software and services. The combination will create a broadband media technology company with estimated revenue of US $8bn and 8,500 employees worldwide. Famed for its work on blockbuster M&A, Slaughter and May had five partners working around the clock as Deutsche Bank received a $2.5bn fine from regulatory authorities in the US and UK over investigations into its role in the manipulation of interest rates Libor and Euribor between 2005 and 2010. Slaughters’ head of dispute resolution and global investigations groups Deborah Finkler marshalled the German bank’s dealing with the City watchdog, the Financial Conduct Authority (FCA), with disputes partner Ewan Brown also playing a major role in orchestrating the settlement. A senior team in Manhattan at Paul, Weiss, Rifkind, Wharton & Garrison including partners Roberto Finzi and Andrew Finch handled the US end of the investigation, while Hengeler Mueller’s Sven Schneider handled the defence in Germany. The bulk of the penalty will be split between US authorities, with $800m going to the Commodities Futures Trading Commission, $775m to the US Department of Justice and $600m going to the New York State Department of Financial Services. The UK’s FCA took $340m, or £227m, of the penalty for manipulating interest rates. The FCA found that the misconduct, which ranged from colluding with other panel banks that set Libor and Euribor to putting cash into the market to trick submissions at other banks, involved at least 29 Deutsche Bank staff across London, Frankfurt, Tokyo and New York. It has been a contributor bank for Libor fixes in ten currencies, including the US Dollar, Swiss Franc and Pound Sterling from at least 1998 to the present, that sets the lending rates for lending around the world, from mortgages to business lending. The fine was levied because of what the FCA labelled a ‘deeply ingrained’ culture of ‘generating profits without proper regard to the integrity of the market’ and its attempt to mislead the regulators by giving the FCA misleading information about its ability to provide a report commissioned by the German regulator, BaFin, and providing false information about its systems and controls around Libor. US firms’ financials are continuing their positive trend, with recent releases showing revenue spikes and profit boosts including for Davis Polk & Wardwell and Paul, Weiss, Rifkind, Wharton & Garrison which both broke the billion-dollar mark in gross revenues last year. For Davis Polk, both its revenue and partner profits were significantly higher; revenue was up 12.8% from $975m in 2013 to $1.1bn last year, while its average profits per partner crossed the three-million-dollar threshold to $3.3m, rising 12%. The positive result is a fundamental boost for the firm that was widely perceived to have drifted off course during the 2000s. Similarly, disputes leader Paul Weiss has particularly outshone competitors enjoying its 15th record-breaking year in revenues in a row. Gross turnover surged to $1.03bn, up 11% from when the firm grossed $934.5m in 2013 and lifting average partner profits by 6% from $3.6m to $3.8m in 2014. The firm’s overall headcount rose 10% percent from 854 to 943, while partner ranks grew by just four heads to 135, a more modest 3% rise. Also enjoying double-digit growth so far this was energy focused Houston firm Baker Botts, which recently saw its revenue shoot up 11.4% to $653m from $586m in 2013, while net income soared 22.6% to $299.3m. But it was the firms’ profits per partner that truly shone at $1.7m – a 25.5% increase on 2013’s $1.36m – this was after the firm posted flat partner profits in 2013. Shearman & Sterling and Slaughter and May are among firms to have landed roles advising on Canadian insurance group Fairfax’s £1.2bn takeover of specialty insurer Brit as the group looks to boost its presence in the City. Within a year of being listed on the London Stock Exchange, FTSE 250 insurer Brit turned to Slaughter and May on the takeover, with corporate heavyweight Jeff Twentyman and Richard Smith leading; as well as competition partner Bertrand Louveaux,; employment partners Jonathan Fenn and Roland Doughty; and financial regulatory partner Jan Putnis. Leading US firm Paul, Weiss, Rifkind, Wharton & Garrison also represented Brit covering US law aspects with London-based global capital markets and securities group Mark Bergman advising. Shearman’s team acted for Fairfax on the deal which will see Brit shareholders receive 305 pence comprised of 280 pence in cash and a final dividend of 25 pence. Its team London-based partners Jeremy Kutner and Laurence Levy in M&A, financial regulatory partner Thomas Donegan, finance partner Iain Goalen, and Sarah Priestley for tax advice. The Brit in-house legal team is led by Tim Harmer. The acquisition will see Canada’s property and casualty insurer gain a significant presence in the City, becoming one of the largest insurers on the Lloyds market. The UK insurer, which was majority owned by Apollo Global Management and CVC, is known to underwrite policies in the Lloyd’s market across a range of commercial insurance and reinsurance classes with a focus on property, casualty and energy business. Apollo, which was the largest shareholder of Brit with a 39.7% stake, was advised by Sullivan & Cromwell with a team led by corporate partners Tim Emmerson and Ben Perry. New York elite firm Paul, Weiss, Rifkind, Wharton & Garrison has built on its double-digit growth of 2012 by turning out a near 7% increase in revenue for 2013, up to $934.5m, while its profit per equity partner (PEP) figure rose by 8% to $3.62m. The results follow the 803-lawyer firm’s 12% increase in turnover to $877m in 2012, coupled with a 6% increase in PEP to $3.35m. 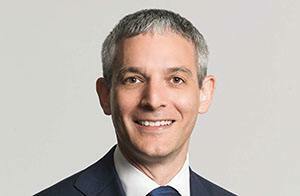 Much of the top 40 Global 100 firm’s success is credited to its top flight litigation practice, which has represented major financial institutions such as Bank of New York Mellon in its defence against a $1bn claim last May.Paul Weiss has also been active representing longstanding client Citigroup, including defending it against a $4bn arbitration suit brought by Abu Dhabi’s sovereign wealth fund last March. Major corporate mandates, meanwhile, have included acting for Time Warner Cable in its $45.2bn merger with Comcast this month, led by chair of the corporate department Robert Schumer. The firm has continued to work closely alongside Slaughter and May on a host of major London Stock Exchange listings and in January advised alongside the Magic Circle firm on Cineworld Group’s tie-up with the cinema operations of Cinema City International. The firm’s corporate client list includes private equity heavyweights such as Oaktree Capital and the Carlyle Group, along with multinational companies such as Ericsson, Swiss Re and William Morris. Recent lateral hires include white collar crime partner Alexandra Walsh from Baker Botts in February last year, and at the start of this year well-regarded tax partner Scott Santag from Weil, Gotshal & Manges. The results follow a largely positive swathe of US financial results so far, in which most recently Chicago-headquartered firm McDermott Will & Emery continued its post-financial crisis recovery by unveiling a 3.5% increase in revenue to $881m, as close US rival in revenue terms, King & Spalding has seen its turnover increase by 4% to $861.4m. For an in-depth analysis of the New York legal market see Taking Manhattan – can the Wall Street elite hold out in the age of the $5bn law firm?